Facing a Local Court appearance?  We work exclusively in the local courts of NSW. Unlike most law firms, local court work is the only work we do. Local Court offences – all day, everyday. (and all other local courts in NSW, with our travel costs in addition to our fees). We appear for children and juveniles in the children’s court as well. We have a proven track record of getting great results in the local court and giving expert legal advice. We explain everything to our clients – the charges they face, the possible sentence or penalty, advice on how to plead, the court process, what our clients can do to improve their position, what their references need to say, who to bring with you to court (and even what to wear, if you want our advice on that too!). We work on a flat-fee basis. No hidden extras. We’re not the cheapest, but we get you the best result possible. The principal, Sally McPherson, has over 20 years of legal experience. Prior to joining The Local Court Lawyers Steve Gerrish, solicitor, retired as a Sergeant from the NSW Police (after 23 years on the force). He spent 13 of those years as a police prosecutor. Steve has unparalleled experience in the local court. If you have to appear in the local court for ANY reason – we can help. and all other matters in the local court. © 2019 The Local Court Lawyers | Byron Bay, Tweed, Lismore, Ballina, Grafton, Coffs Harbour.